300 million people across the world are using LinkedIn to connect with businesses and professionals and make personal industry connections. The platform itself, which was founded in 2002, accounts for roughly 64% of all website traffic from social media channels. With this, it is only natural that people should be investing more in such a prevalent platform. But you need to be investing the right things. LinkedIn is one of the headlining platforms for B2B driven leads and sales. Unlike other social media platforms of a similar structure, such as Facebook, LinkedIn has a very particular audience behind it. Therefore, the advertising on the platform needs to be specifically tailored to the audience that is on the site. The main thing to keep in mind is that most of the people on this business centric platform are there for the latest news, updates, services and products gaining headway in their industry. There are a number of ways you can better your LinkedIn Advertising – and this is how. 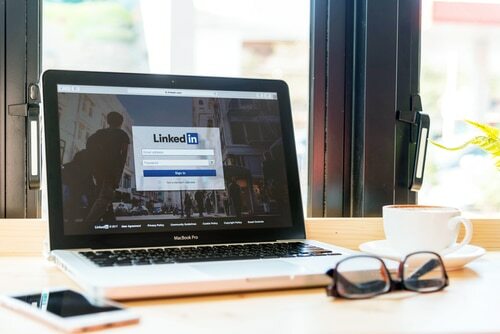 One of the great things about LinkedIn is that it allows advertisers to target specific audiences, broken down into industries, company size, gender, job titles, seniority in the business, age, country and much more. Look at what your product or service is, and define who would be most likely to engage with it. Based on this, you can refine the audience of your marketing campaign and have more change of a prospective sale with people who could benefit from your business. Going hand in hand with the above point, targeting is everything. Generic campaigns can work, yes, however it is highly beneficial to run campaigns that are speaking straight to your target audience and their needs. If the marketed content is directly related to your audience, it is more likely that you will see success in your campaign. Change up the way you deliver the information about your products to your audiences. Not only should your posts be kept short to deliver your message clearly, and to avoid the ‘read more’ cut off, but you should also delve into more appealing forms of marketing your products and services. Break up the constant stream of text in a newsfeed with an eye-catching picture for them to comment on, or a high quality and informative video to share. By doing so, it could inadvertently widen the amount of people that view your post whilst keeping it specific to the industry you’re targeting. By using A/B testing you can determine the strongest form of your marketing campaign against your given audience. LinkedIn allows for you to drive more than one advertisement in a campaign at a time. By looking through the supplied statistics, you can see what type of marketing works best for the targeted audience. Through evaluating the methods of your advertising, you can better structure your campaign and drive results through the roof. By not only narrowing down the target audience, but optimising your content and the way it is delivered, you can increase the likelihood of views leading to leads, and sales.